Description: New Acer replacement laptop led screen. Some of the notebook models listed can also come in an lcd ccfl version. Please check your existing screen to make sure that you are ordering the correct screen. Compatible Part #'s: B156XTN02.2, B156XTN02.0, LK.1560A.002, LK.1560D.005, LK.1560D.006, LK.1560D.010, LK.1560N.001, LK.15605.005, LK.15606.002, LK.15606.009, LK.15608.002, LK.15608.005, LK.15608.003, N156B6-L0B. Acer Aspire 5250, 5251, 5252, 5253, 5333, 5336, 5338, 5350, 5536, 5536G, 5542, 5542G, 5551, 5551G, 5552, 5552G, 5560, 5560G, 5733, 5733Z, 5736, 5736G, 5736Z, 5738, 5738D, 5738G, 5738P, 5738Z, 5739, 5739G, 5740, 5740DG, 5740G, 5741, 5741G, 5741Z, 5741ZG, 5742 *, 5742G *, 5742Z *, 5742ZG *, 5745 *, 5745G *, 5745PG *, 5750, 5750G, 5750Z, 5750ZG, 5755, 5755G. 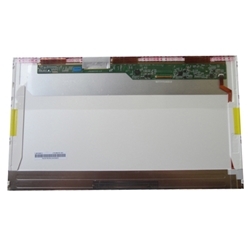 Acer Aspire E1-521, E1-531, E1-571, V3-571, V3-571G. Acer Extensa 5235, 5635, 5635G, 5635Z. eMachines E442, E443, E528, E529, E644, E644G, E728, E732, E732G, E732Z, E732ZG. * - May also come in a 15.6" LED slim version.